Do you have what it takes to assemble an A-team, invade an island and oust an evil dictator? 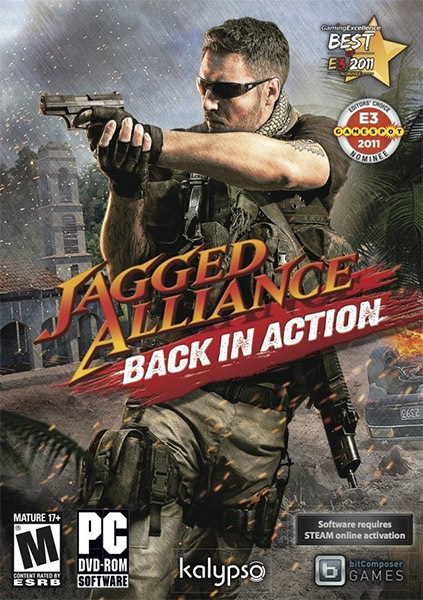 If you think you’ve got what it takes, it’s time for you to launch your career as the leader of a Private Military Corporation in the newly released single-player demo for Jagged Alliance: Back in Action, the upcoming tactical combat game for Windows PC from Kalypso Media and bitComposer Games. This is a fix for the "Jagged Allaince: Back in Action" mod "Realistic Rebalancing Mod" v1.8.3. I made some changes for my needs. Love this MOD, feels like JA3 as it should have been. Would like to see 2 attachment slots for rifle & sniper guns pls. MOD 1.08 bring it on!!! who can add mortar to the team?? ?